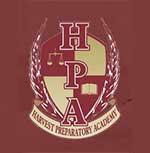 We are a charter school corporation with three charter schools in the state of Arizona. The executive director is looking for an executive assistant who would manage all the day today office operations on her behalf. It is a position that requires confidentiality, some travel, two days a week late hours, strong organizational skills, and some multitasking. It is a position that has room for advancement within the corporation as the corporation is growing rapidly.